This article previously featured in The Tribune Weekend section on March 24. You know that feeling when you come out of a cinema and you are absolutely bursting to know what others thought about the movie? This week's podcasts all look at shows focusing on film – both good and bad. "...infantile, crass, adolescent, stupid, chauvinistic twaddle..." Well, I liked it. Mark Kermode is the best film reviewer working today – and his regular BBC show with Simon Mayo is always a treat. What makes it so good are two things – first, the unvarnished nature of the reviews, Kermode particularly never holds back; and second, the sound of two people who really know their stuff but can also venture beyond that range to chat and have good fun. Kermode is the reviewer who described Entourage as a “foul, soul-sucking, horrible vacuum of vile emptiness” or who dismissed Keira Knightley in Pirates of the Caribbean 3 as “a petrified forest of woodenness”. Even when he's attacking films you like – such as Sucker Punch which I loved – you can't get mad when he rants about it being “boring, ploddingly put together, infantile, crass, adolescent, stupid, chauvinistic twaddle”. Would that all filmmakers were as passionate as he about the things they produce. If you're going to ponder why the movie Brazil is named as it is, you might take the time to find out what director Terry Gilliam has to say - he said it was inspired by the grim greyness of Port Talbot, where iron ore dust covers everything, and he had this image of a little grey man in a grey world listening to escapist music such as the song of the title, Brazil. This podcast really irked me. Hosted by Tyler Smith and David Bax, Battleship Pretension is part film review website and part film podcast – and it is the podcast that really irritated. The show sometimes runs through various films, picking out films you may have missed or focusing on a particular artist. The latest show looks at titles of films – and as a podcast, it's really flimsy. First of all, it takes a good 20 minutes or so to get round to the actual subject. Now Smith and Bax are pleasant hosts, so that's no big deal, but when we get to the meat, it seems there's been nothing in the way of research done and it's just the two of them listing off the titles they liked. They start with Legend, and it takes quite a while for them to make clear that they're talking about the recent Tom Hardy movie about London gangsters the Kray twins, and not the 1980s Tom Cruise fantasy flick. Then they spin through the movie names they really liked – one favourite apparently being The Unbearable Lightness of Being, which it's true is a great title, and a great movie, but the chap saying he loves the title was never moved enough by it to actually watch the film, which means that as something to entice the viewer in, it completely failed to do the job. 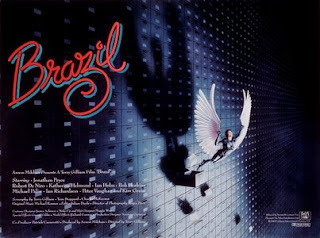 They also ponder why certain films were named as they are, musing for example why Brazil is called what it is... as if that question hasn't been answered by Terry Gilliam in some of his many interviews about that movie. In the end, the show amounts to little more than a Beavis and Butthead-esque scene of two guys muttering to each other “cool name” without any attempt to get deeper than that. 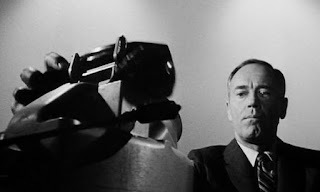 There has been a remake of Fail Safe, with George Clooney, but that is essentially a love note to the stark, brutal original, an exercise of terror in minimalism, starring Henry Fonda as the president faced with the worst decisions in history and yet bringing with it a haunted nobility. Far, far better – in fact, I would say essential listening for film fans, is The Canon. Film critics Devin Faraci and Amy Nicholson pick out a movie each week and analyse it in scorching detail before deciding whether or not the movie belongs in the canon of great films to live on for all time. Just looking at the list of movies covered by the episodes is to see greatness – recent shows include the likes of Oldboy, Broadcast News, Working Girl, O Brother Where Art Thou and much more. 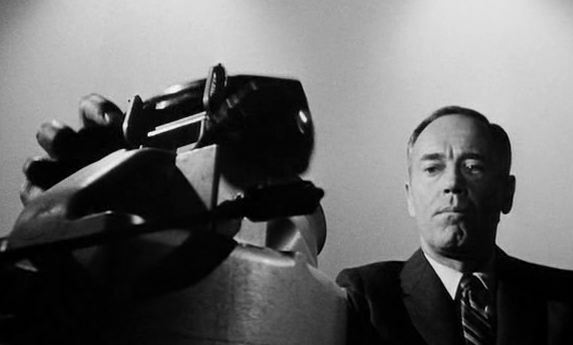 The latest show focuses on one of my favourite movies – Fail Safe, a grim slice of Cold War paranoia directed by Sidney Lumet and starring Henry Fonda as a haunted US President faced with the worst of decisions. The obvious comparison – which the hosts note – is to the absurdity of Dr Strangelove, and they carefully point out how Fail Safe covers a lot of the same issues as Strangelove, it does so in a very sober, realistic world where reasonable people try to make sensible decisions, but it still ends up in nuclear disaster. The hosts really know their stuff, and argue fiercely for what they believe. Do they add Fail Safe to the canon? That, I won't spoil.